Prescott & Prescott Valley, Arizona to/from Phoenix Sky Harbor International Airport (PHX). Great Flat Rates! More often than not, our town car flat rate fares to and from Prescott & Prescott Valley and the Phoenix Airport (PHX) are less than taxis charge for the same service. So, why travel in a taxi when you can travel to the airport in style and comfort in any one of our luxury vehicles. >> VIEW OUR RATES. A Luxurious Vehicle Fleet. Whether you are a single executive, traveling couple or a large group, Roadrunner has the right vehicle for you. Depending on the amount of passengers, Roadrunner Limousine’s fleet includes town cars, limousines, SUV’s, passenger vans and even 30+ passenger coaches. All our vehicles are clean, comfortable, private late model luxury vehicles equipped with GPS Navigation systems. 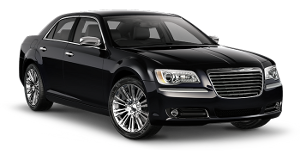 So, why take a bumpy taxi from Prescott & Prescott Valley to PHX when a luxury vehicle is available at Roadrunner Limousine? Roadrunner Limousine, serving Prescott & Prescott Valley and Phoenix, Arizona, provides exceptional service for its executive clients. Our executive guests expect reliable, convenient and comfortable transportation to or from Prescott & Prescott Valley and the Phoenix Sky Harbor International Airport. As important as it is to provide our executive passenger with optimum service, working effectively with their executive assistants and travel coordinators makes everyone’s job easier. For them, we have a state-of-the-art online booking and account monitoring system accompanied by a highly trained staff to help develop and execute the most sophisticated travel plans that any busy executive or corporate group might need. First Time Coming to Prescott & Prescott Valley, Arizona – Did You Know? Prescott (pronounced /ˈprɛskət/ pres-kət) is a city in Yavapai County, Arizona, USA. It was designated “Arizona’s Christmas City” by Arizona Governor Rose Mofford in the late 1980s. According to 2010 Census, the population of the city is 39,843. The city is the county seat of Yavapai County. In 1864 Prescott was designated as the capital of the Arizona Territory, replacing the temporary capital at Fort Whipple. The Territorial Capital was moved to Tucson in 1867. Prescott again became the Territorial Capital in 1877, until Phoenix became the capital in 1889. The towns of Prescott Valley (7 miles east) and Chino Valley (16 miles north), Dewey-Humboldt (13 miles east) and Prescott, together comprise what is locally known as the “Quad-City” area. This also sometimes refers to central Yavapai County in general, which would include the towns of: Mayer, Paulden, Wilhoit, and Wlliamson Valley. Combined with these smaller communities the area had a population of 103,260 as of 2007. Prescott is the center of the Prescott Metropolitan Area, defined by the U.S. Census Bureau as all of Yavapai County . In 2009 Yavapai County was estimated to have 229,640 residents by the U.S. Census Bureau, making Metro Prescott the third-largest metropolitan area in Arizona, after Phoenix (4.2 million) and Tucson (1 million). Thomas Gibson Barlow-Massicks arrived in the area in the early 1890s and built the historic “castle” that still stands in Fain Park. Massicks had a hydraulic gold mining operation in Lynx Creek Canyon and built the company mining camp of Massicks, Arizona just east of his Victorian home, the Castle. The fireplace with chimney just inside the Castle’s fence is all that remains of the Massicks store. Massicks accidentally shot himself and died in April 1899 at the age of 37. In the 1930s, there was a gold dredging operation, the Doodle Bug Diggings, farther east in Lynx Creek Canyon. In the mid 1960s, Prescott Valley Incorporated, a real-estate company from Phoenix, purchased land in an area 10 miles east of Prescott known as Lonesome Valley. In 1966, representatives from Prescott Valley Inc. began traveling to the Midwest to sell home lots. By 1978, more than 1,500 residents were living in the unincorporated area now known as Prescott Valley. In 1978, 80% of the voters of Prescott Valley voted for incorporation as a town.